Patient had a fever and chilliness one and half months back. Along with this he developed redness and swelling of the leg. Consulted and allopathic hospital where they did the surgery and then the patient developed the ulcer. 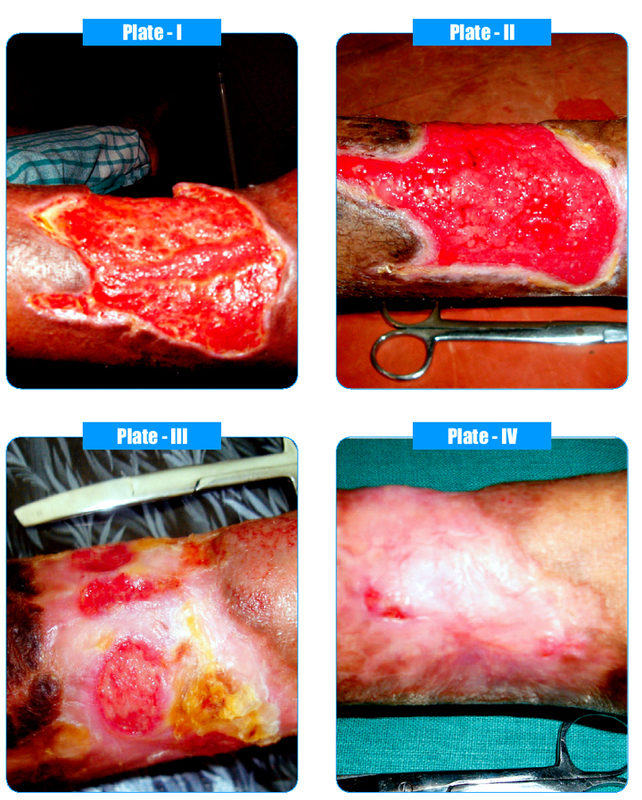 He was treated and then advised by the doctor to undergo skin grafting. 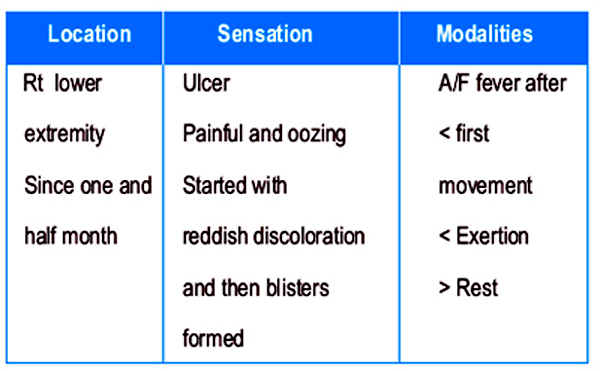 The case was prescribed with Rhus tox and then as the totality changed the remedy was also changed. The sensitivity was the clue which remains same throughout but the pathology went on changing. So a different remedy was chosen. (Reference § 172-173). This patient was a very poor document writer who had already spent nearly 60000 rupees for getting treated for cellulitis and for getting an ulcer. He was also given and estimate of another 750000 for the skin graft which he was not able to bear because of his very low economic status. Patient was admitted in the hospital for one month and dressing was done with calendula dry dressing. This case clearly demonstrates that when there is paucity of symptoms to affect a cure one or more remedy needs to be used as the pathology and totality changes. This case also demonstrate that homoeopathy can be effective even in surgical diseases with much cost effectiveness.